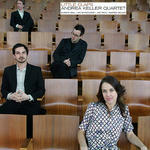 Little claps / Andrea Keller Quartet. Recorded/performed at: Allan Eaton Studios, Melbourne, on 2007. Andrea Keller Andrea Keller, Eugene Ball, Ian Whitehurst, Joe Talia 4 mins, 36 sec. Recorded/performed at: Allan Eaton Studios, Melbourne, on 2007. Andrea Keller Andrea Keller, Eugene Ball, Ian Whitehurst, Joe Talia 5 mins, 56 sec. Recorded/performed at: Allan Eaton Studios, Melbourne, on 2007. Andrea Keller Andrea Keller, Eugene Ball, Ian Whitehurst, Joe Talia 2 mins, 24 sec. Recorded/performed at: Allan Eaton Studios, Melbourne, on 2007. Andrea Keller Andrea Keller, Eugene Ball, Ian Whitehurst, Joe Talia 10 mins, 31 sec. Recorded/performed at: Allan Eaton Studios, Melbourne, on 2007. Andrea Keller Andrea Keller, Eugene Ball, Ian Whitehurst, Joe Talia 8 mins, 19 sec. Recorded/performed at: Allan Eaton Studios, Melbourne, on 2007. Andrea Keller Andrea Keller, Eugene Ball, Ian Whitehurst, Joe Talia 3 mins, 42 sec. Recorded/performed at: Allan Eaton Studios, Melbourne, on 2007. Andrea Keller Andrea Keller, Eugene Ball, Ian Whitehurst, Joe Talia 8 mins, 37 sec. Recorded/performed at: Allan Eaton Studios, Melbourne, on 2007. Andrea Keller Andrea Keller, Eugene Ball, Ian Whitehurst, Joe Talia 10 mins, 11 sec. Recorded/performed at: Allan Eaton Studios, Melbourne, on 2007. Andrea Keller Andrea Keller, Eugene Ball, Ian Whitehurst, Joe Talia 5 mins, 30 sec. Score: Under the birch tree / Andrea Keller. Score: The dance : lead sheet / Andrea Keller. Score: Broken : lead sheet / Andrea Keller. Score: Singing in a sinking ship : lead sheet / Andrea Keller. Score: Little claps : lead sheet / Andrea Keller.